Full circuit board protection with LED display for simple recognition of battery status. Various connections make it possible to connect easily to solar panels, battery and load. 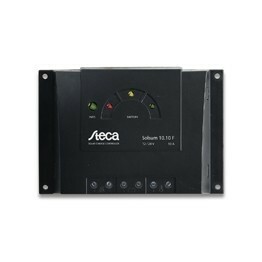 The Steca Solsum F works on PWM as a low loss series controller.